Kingston Junior Cycle Club is the only club in Kingston dedicated purely to developing young cycling talent. There is no better time than now to get into cycling with the inspiration of knowing Mark Cavendish, Bradley Wiggins, Nicole Cook and Lizzie Armitstead raced through Kingston for the London 2012 Olympics; 150 professional cyclists raced in the Surrey Classic followed by a stampede of 20,000 amateur cyclists testing their wits against the pro times on the same course. Kingston is a cycling inspiration to all youngsters. Kingston Junior Cycle Club is here to provide opportunities for cyclists to turn their skills into a sport. 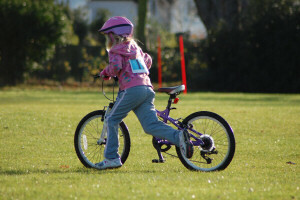 Kingston Junior Cycle Club started in March 2011 and has now seen some 300 young cyclists. Kingston Junior Cycle Club is accreditied to the British Cycling Go-Ride Scheme which allows cyclists to enter competitions around the country. In 2012, Kingston Junior Cycle Club became a registered club and is now working towards Go-Ride & Clubmark Accreditation. Kingston Junior Cycle Club is constantly developing both in the opportunities it offers young people and also in the group of dedicated coaches and volunteers that it has gratefully attracted. The club prides itself in creating an environment suitable for all the family.